Will man be in flesh bodies during the millennium? 1. will man be in flesh bodies during the millennium? Just curious to see how many think some will be in flesh bodies during the millennium? The rest who are not immortal, but who populate the earth during the millenium, will be able to have children, build, plant, and even die. So they must have flesh and blood. So I would say....yes and no. Children dying and people having plagues upon them is not a time of incorruption, or immortality. Yes for the nations that survive and remain..
No for the raised / raptured Saints who will rule the earth with the LORD Jesus for 1000 Years.. When the Lord of Lords return He will rule the nations with an Iron Rod.. Jesus will not be ruling His Saints with an Iron Rod..
*[[Rom 8:22]] KJV* For we know that the whole creation groaneth and travaileth in pain together until now. And not only they, but ourselves also, which have the firstfruits of the Spirit, even we ourselves groan within ourselves, waiting for the adoption, to wit, the redemption of our body. *[[Phi 3:21]] KJV* Who shall change our vile body, that it may be fashioned like unto his glorious body, according to the working whereby he is able even to subdue all things unto himself. Flesh and bone body powered by the spirit of God. *[[Eph 2:22]] KJV* In whom ye also are builded together for an habitation of God through the Spirit. The elect are the only ones allowed into God's Kingdom during the Millennium. However, this does not mean that everyone else will not make it into heaven. Everyone else will be in heaven because heaven is here on earth along with God's Kingdom. Those other than the elect will reside in angelic bodies outside of God's Kingdom here on earth. During the Millennium, the elect will receive God's Word directly from God, and will be responsible for taking the Word to those outside of the Kingdom of God who have not had a chance to hear the truth. Those who receive the Word from the elect will then have the opportunity to choose between God or Satan at the end of the Millennium when Satan is loosed for a short season. Those who choose God over Satan will be spared from having their souls destroyed, and then become part of God's Kingdom and will be given eternal life. This is to say that they will be given an immortal soul along with their angelic body. Those who choose to follow Satan will be destroyed along with Satan in the lake of fire on Judgment Day. Judgment Day occurs at the conclusion of the 1000 year Millennium, which is the conclusion of this earth age. Following Judgment Day, the 3rd earth age and the rest of eternity begin. At the return of Christ ALL shall be changed,however ,that doesn't mean all will be immortal. It is pretty obvious from scripture that there will be mortals who make it thru the tribulation period that then are allowed into the Millennial Kingdom along with those of Israel who survive to repopulate the earth. Matthew 25 (sheep and goat judgement) details just that and is a discourse on Joel 3. So the poll question should have a "both" option. So there will be those still in mortal bodies that go in. A detailed study of the kingdom parables that Yeshua gave shows the MK is hardly heaven, which I think is where a lot of folks get messed up. They somehow equate the MK with heaven. Sin still remains in mortal hearts. Yeshua must rule with a rod of Iron (along with the righteous who were transformed prior to this time) as per Psalms and Revelation. It will be perfect justice, not like the imperfect justice we have now. And anyone getting out of line will be swiftly dealt with. And Psalms 2 shows how the nations will want to eventually throw off the yoke of Yeshua's rule, and when Satan is released after the 1000 years he is able to foment one final big rebellion against Yeshua which will be squashed like a bug. Then the eternal earth and Jerusalem. While I indeed look forward to the MK since Yeshua will be visible and present, I also see it is somewhat of a test for those still in mortal flesh. It is to show that even with Satan bound and the virtually perfect living conditions, the heart of mortal man remains sinful and just can't help but to go against God. It is the ultimate final proof that man could never save himself. It still takes a redeemer to save. 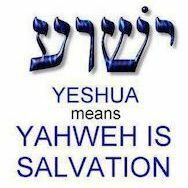 It will confirm once and for all that only with Yeshua is there any hope. Praise be to the Lamb!! !